This is a description of my interests and the activities I have engaged in over the years not including activities described in my Career Narrative. Looking back I think you will agree that I have been creatively busy my entire life. My wife Andrea and I have been married since 1983 and we have lived in Atlanta, Georgia; San Francisco, California; and Tucson, Arizona. I started my career in the computer software industry in early 1980s so I am very comfortable with technology and how to create using its tools. I enjoy programming in VBA and creating websites like this one. I enjoy using Photoshop to create my own interpretive versions of reality. When I travel with my nephews, or when friends visit me, I create DVDs with photographs and movies of our time together. Having created film shorts for DVDs, I have great respect for the professionals who create movies, television programs, and commercials. It is not easy to successfully merge stills, movies, graphics, transitions, dialogue, sound, and music. Hats off to their creative work. For fun in the 1990s I created user maps for the Duke Nukem computer game. My maps proved very popular on AOL and were downloaded more than 10,000 times. I enjoyed receiving fan email from all over the world. My average fan, a teenage boy, would email me, “Dude! Your map rocks!” The sentiment was appreciated. In 1990 I wrote what was one of the first software products to run an NCAA March Madness Basketball Pool. I wrote it as shareware and, if I remember correctly, I made exactly $10 on it. But it was popular — it was pirated quite a bit in Atlanta for a couple of years. I have played in 58 chess tournaments, including the New York Open, the North American Open, and the World Open. I’ve won two tournaments and lots of blitz tournaments. My record is 163-87-51. I am a Life Member of the United States Chess Federation and my highest rating was 2146. Through the late 1980s to the early 1990s I was President, Vice-President, or Secretary of the Georgia Chess Association. I also edited and published the bi-monthly chess newsletter “Georgia Chess” for several years back when we still pasted up the master for copying. Click here to see two of my games. I never made a lot of money playing chess, but I did win enough to pay for tournament and hotel expenses. I have always said that any hobby that pays for itself is a good hobby. I was President of the Atlanta Area Investment Club from 1984 through 1986. Personal finance has been of interest to me ever since I graduated from college and started to make a little money. Despite having been a personal financial advisor to wealthy friends, and despite having done quite well myself in the stock market, my mother still won’t listen to me about money. I guess I’ll always be her little boy. My United States Golf Association handicap index is 9.8, but it fluctuates from 9 to 15 depending on how much I am playing. My most memorable round was at Pebble Beach where I was very happy to just break 100. My best round is 74 at a course near Dallas. My worst round as an adult will remain an embarrassing secret. I have run two marathons and many shorter road races, including the Bay-to-Breakers race in San Francisco many times. 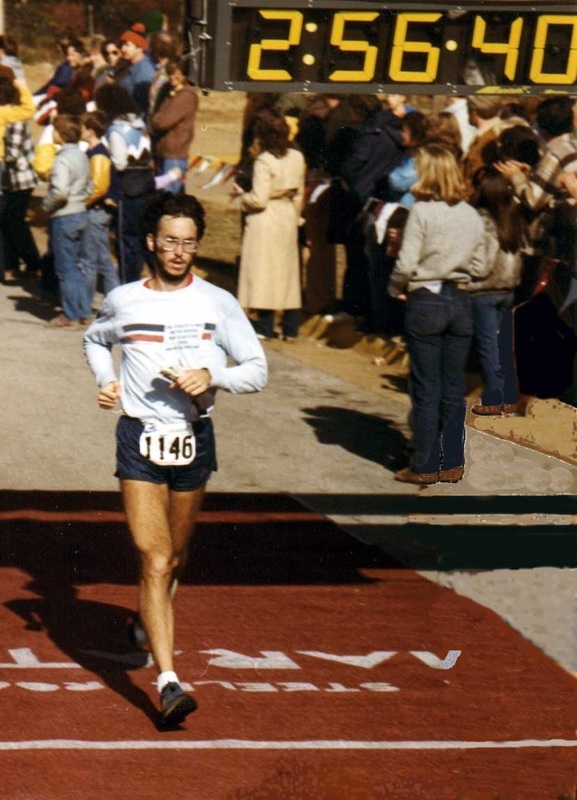 My best time in the marathon is 2:56:41 at the Joe Steele Rocket City Marathon in Huntsville, Alabama many years ago. I still have my original knees and I still run occasionally — just shorter distances and a lot slower. I coached my nephews’ Little League baseball team for four years. It was great fun working out with the players and helping them improve their skills. With new players each year, we won the championship the first year, finished second the next year, and third the years after that. Somehow we seemed to get worse each year. What’s up with that? 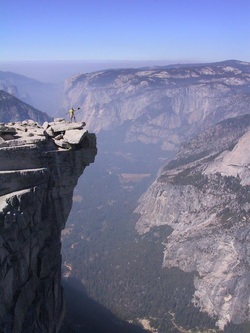 I enjoy camping and hiking and have hiked to the top of Half Dome in Yosemite National Park four times. I have backpacked over much of the southern Appalachians and camped in many State and National Parks in the western half of the United States. I love watching the stars at night. I’ve rafted the Nantahala River in North Carolina and the Ocoee River in Tennessee many times. I’ve also rafted the Rogue River in Oregon and the Lower Salmon River in Idaho. Floating on a river is a great experience and highly recommended if you get the chance to do so. One day my wife came home and told me we were going to start taking scuba diving lessons. And I didn’t even like to get my face wet in the pool at the time. Since then we have done more than 120 dives in places like the Bahamas, Cayman Islands, Cozumel, Maui, Kauai, Lake Lanier, Florida Keys, various Florida springs, and off the coast of Florida. There is not much diving in Tucson so we snorkel in our community pool instead. My wife and I support the National Multiple Sclerosis Society and their efforts to find a cure and to improve the lives of those with MS. 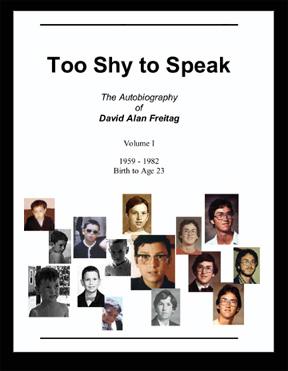 I have written Volume 1 of an autobiography which is titled, “Too Shy to Speak” because I had a stuttering problem when I was a child (I’m mostly over it now). More than 100 people have read it so I consider it a literary success, if not financial. I am in the process of finishing Volume 2 and I hope to do enough interesting things during the rest of my life to fill at least one more volume. When I was taking a beginning Spanish class, I created a game called ¡Ay Caramba! A Game for Learning Spanish. It seems to me that learning a language is easier when playing a game. I am still a beginner, but I enjoy continuing to learn the language. My father and I used to exchange emails in Spanish that would probably horrify a native speaker — but we had fun with it. I was Vice-President of my homeowners association (290 homes) for three years and I served on several committees. I also created and maintained our association’s website for several years. In 2011 I became a road cyclist and joined the Syncardia Group of cyclists here in Tucson. 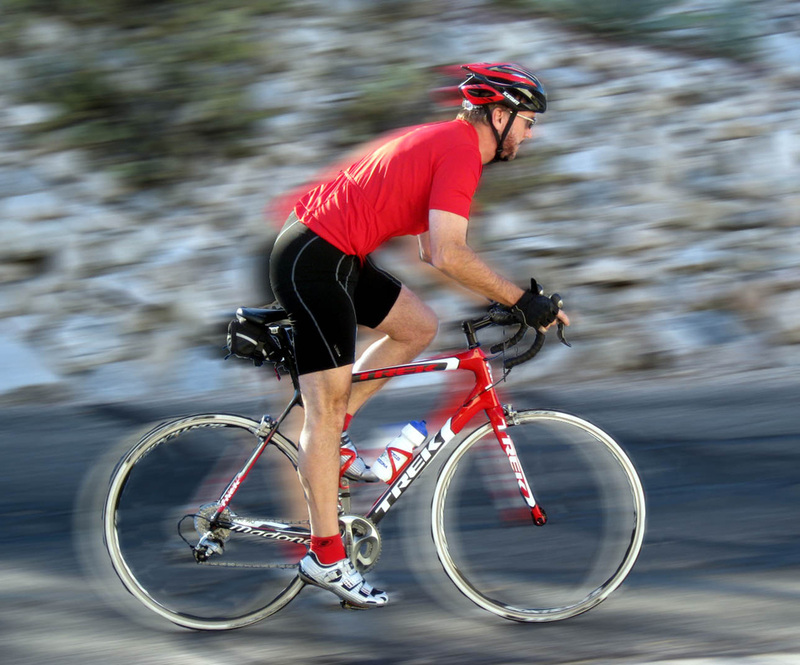 Between 10 and 20 cyclists ride on Sunday mornings usually around 40 to 60 miles. I’ve become more fit and my cycling skills have really improved. In 2011 I finished the Tour of Tucson 85 mile race in 42nd place in a time of 4: 12:12 for an average speed of 20.2 mph. In 2012 I finished the Tour de Tucson 111 mile race in 5:05:00 for an average of 22 mph. Good times! As you can tell, I like to keep busy. According to StrengthsQuest, one of my top five themes is Achiever. Achievers are, “people who have a great deal of stamina and work hard. They take great satisfaction from being busy and productive.” Yep. That describes me.